Product Details: Appx. weight 4.5 oz bar. 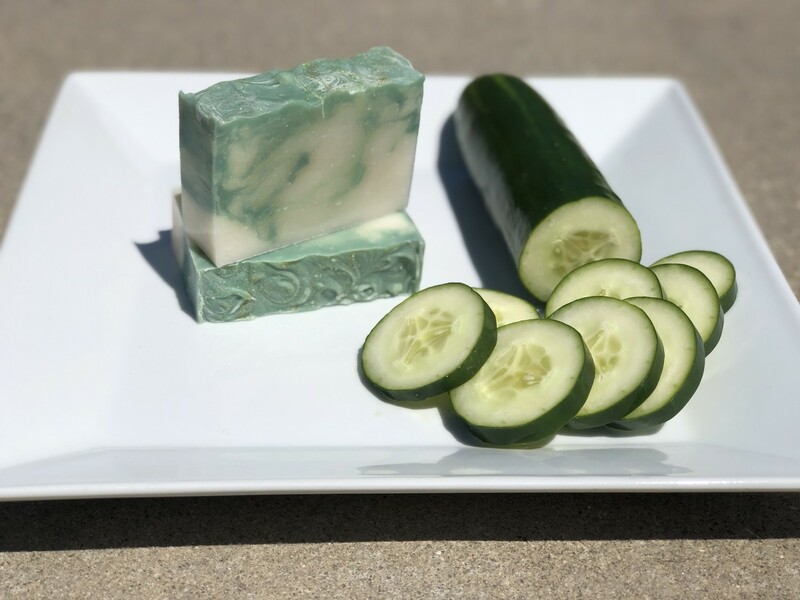 Very fresh clean scent of cucumber! A favorite! Ingredients: Olive Oil, Water, Coconut Oil, Palm Oil, Sodium Hydroxide, Shea Butter, Canola Oil, Castor Oil, Fragrance Oil, Micas for color and bio-glitter on top for decoration.